Why yes, I do love cupcakes! As long as they’re chocolate, moist, and have the right kind and amount of frosting. Come to think of it, I guess I’m pretty picky about my cupcakes, but I do indeed love those that are made to my exacting tastes. On the other hand, I accept and eat many things I don’t love, and that list includes all other types of cupcake. But June 13 is Cupcake Lover’s Day, so if you’re going to eat a cupcake today, make sure it’s one you love. 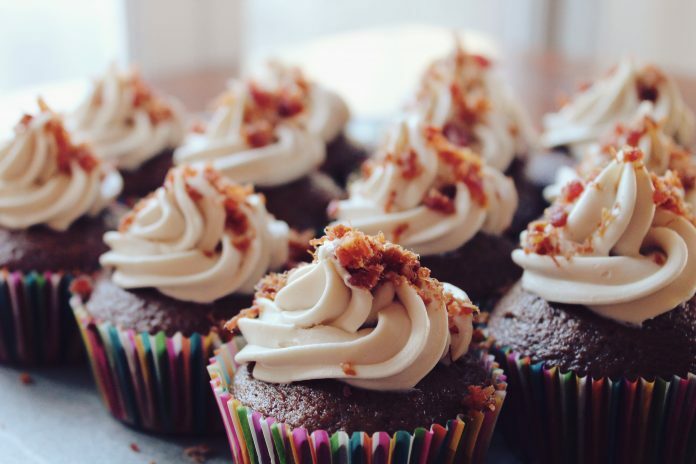 The first known recipe for what we would today call a cupcake is from the 1796 book American Cookery. In it, Amelia Simmons recommended that batter be baked in small cups—any old cup, apparently. (Muffin tins came later, and paper or liners came later still.) The word “cupcake” was apparently coined much later, in 1828, in Seventy-five Receipts for Pastry, Cakes, and Sweetmeats by Eliza Leslie. But these early cupcakes were unfrosted; frosting was reportedly suggested by none other than Winston Churchill. “Cups and Cakes” is also a song by Spin̈al Tap. Yes, really.